In a world of what seems like constant sharing and transparency, job seekers tell all when it comes to the experiences they have while job seeking. As recruiters and hiring managers have their own processes in selecting top talent for their company, candidates also have their own rituals. After interviews are conducted, you might imagine that candidates are holding their phone waiting for your job offer or rejection. While their phone is most definitely in hand, waiting is not what they’re doing. 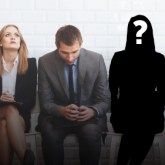 A study from iCIMS found that 46 percent of candidates rated their experiences applying for jobs as poor to very poor, and 64 percent share the candidate experience on social media. Candidates have taken to multiple outlets to share their interview experiences with the world. Most notably, candidate experiences are shared on Glassdoor, a transparent jobs and recruiting marketplace. This platform gives candidates the chance to be true interview critics. Not only are they expressing every little detail about the interview experience, they’re also given the opportunity to rate factors of their experience such as how they got the interview, difficulty of the interview, and how long the process was. In addition to these ratings, candidates can also share information about the interview process, what questions were asked, how they answered, types of interviews that took place, and any assessments that were given. The sharing does not stop with Glassdoor, however. More online sharing takes place on Facebook, Twitter, Reddit, blogs, and even Yelp. Whether the interview was successful or a nightmare, candidates will dish out details about everything from the appearance of the office, to the interviewer’s preparedness and attitude. Since candidates are sharing their experience and rating the company on sites like Facebook and Yelp, they could be making a positive or negative impact on a company’s reputation as both an employer and consumer brand. A few candidates’ stories of their experience can have a big influence on the perception of a company by future job seekers and customers. According to Corporate Responsibility Magazine, 69 percent of candidates, even if unemployed, would not take a job with a company that has a bad reputation. It is important to remember, especially for customer-facing companies, that candidates could be customers too. CareerBuilder found that 69 percent of candidates are less likely to buy from a company that they’ve had a bad interview experience with. On the other hand, 69 percent would be more likely to buy from a company if they’ve had a good experience throughout the application process. Companies should make the most of social media and review sites to bolster its reputation. Starting with employer branding efforts, companies should communicate what it’s like to work there. Efforts around the application process should be highly organized and communication with candidates should be maintained. Candidates should know where they stand each step of the way. Those who have made it to the interview process should be informed of what to expect, including details around who they will be meeting and exactly where to go when they arrive on-site for an in-person interview. There’s no second chance at a first impression, so everyone involved in the interview process should be putting their best foot forward and showcasing their company’s culture appropriately. To deliver an excellent candidate experience, hiring managers should provide frequent updates on next steps and timeframes following the interview. Companies should also be proactive by regularly monitoring social media and review sites. Glassdoor found that 62 percent of candidates agree their perception of a company improves when a company replies to a review. Candidates are going to share their experience regardless, why not give them something good to talk about?